Butternut squash is the most widely grown winter squash. Versatile and diverse, squash has no rival in the kitchen when it comes to its culinary flexibility. Butternut squash is one of the most popular varieties. Producing a rich, golden-yellow flesh with excellent texture, its tender flesh offers a superb creamy flavor. This old favorite offers fine eating and consistent flavor. 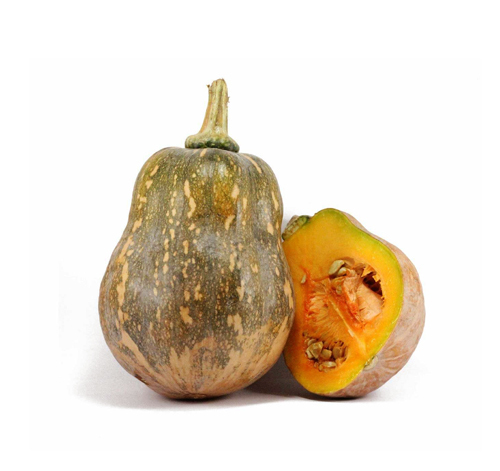 All butternut squashes provide vitamin A and vitamin C, some of the B vitamins, and are a good source of fiber. It can be used bake, roast, grill or puree to make soup.